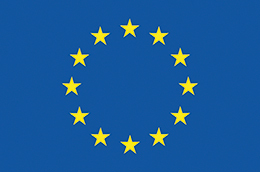 On June 19th , the MyAccessible.EU partner, Mapping for Change teamed up with members of the UCL ExCiteS research group, accessibility designer Ross Akin and users of the Queen Elizabeth’s Foundation Mobility Centre for a day long workshop. 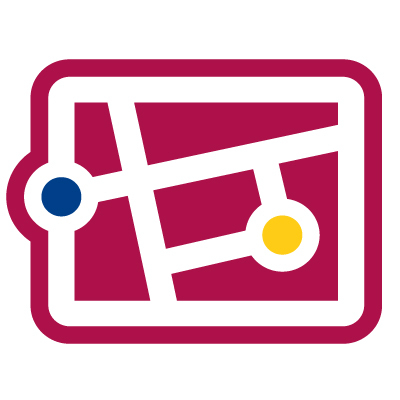 The idea was to co-design a mobile application that could enable users to identify and map barriers to accessibility within the urban realm using Sapelli; a mobile data collection and sharing platform designed with a particular focus on users with little or no prior ICT experience. Sapelli offers pictorial decision trees and icon-driven interfaces as opposed to the forms and check boxes traditionally used in many mobile apps. The workshop commenced with a brainstorming session about the barriers encountered on a daily basis in the public realm. These barriers were then classified into logical groups. Participants went out into the ‘wilds’ of Carshalton to capture photographic and audio material based on the good, the bad and the impassable! Mapillary, the crowdsourcing application for geotagging photos, was also used during the exercise. Going out and physically identifying issues was done primarily to explore whether there were missing gaps to what had already been identified as barriers, which indeed there were. 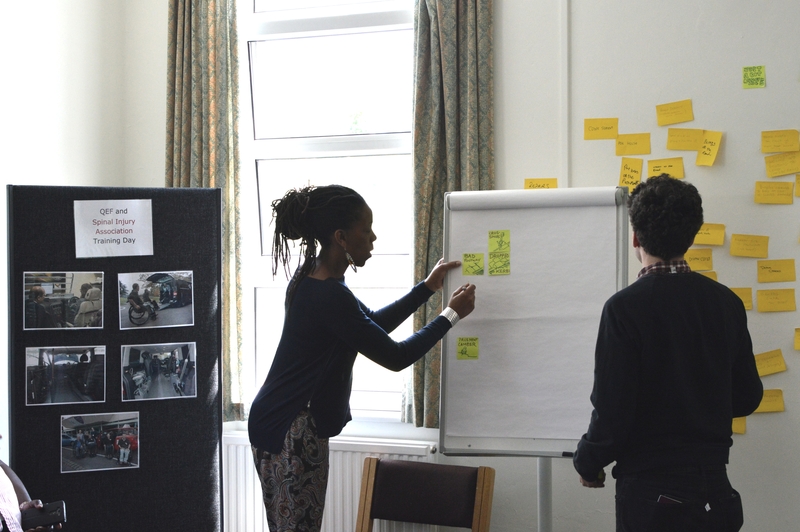 The exercises set the scene for the next step in the co-design process. Based on the different groupings of the barriers, which were further refined, participants began to construct the decision tree. 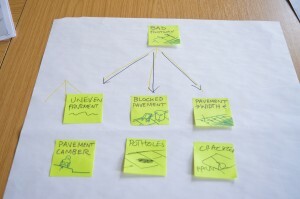 They decided the decision tree should focus on what they were trying to achieve – crossing a street for example – and the identification of barriers that prevented them from achieving that particular goal. In the design of the decision tree people were keen to see that best practices and positive examples were also recognised and captured. After a lively and lengthy discussion, the first draft of the prototype was constructed. The team is now tasked with building the application, with the relevant icon designs. The app will be used over a period of two weeks by all of the co-designers and the data will be mapped to our Community Maps platform. We will then hold a further session to assess the relevance of the classification and hierarchical groupings, the efficacy of the application and any usability issues that may have been encountered. The future aim and goal for those who participated is that this application can be used by a wider audience to identify short-term and permanent barriers to accessibility; information which can then be directed to the relevant authorities responsible for addressing these issues. In addition, participants are also keen to see that the data collected be used in a navigation app designed for wheelchair users.